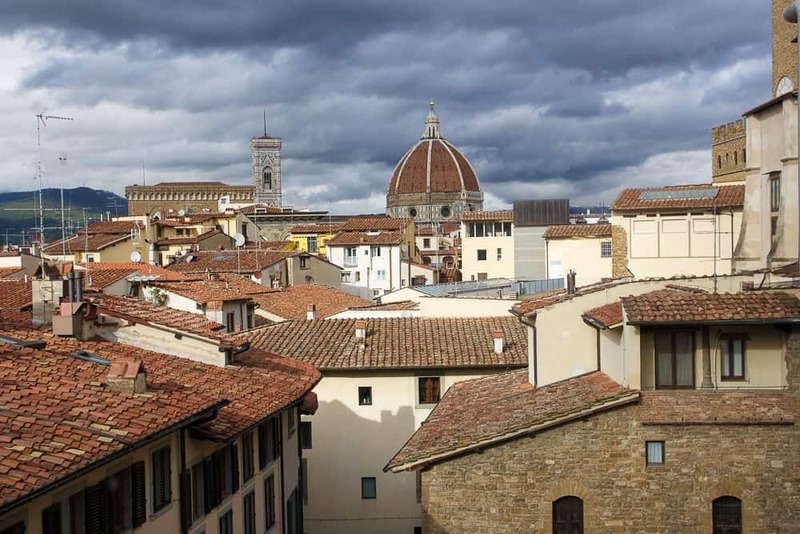 It is easy to fall in love with Florence. 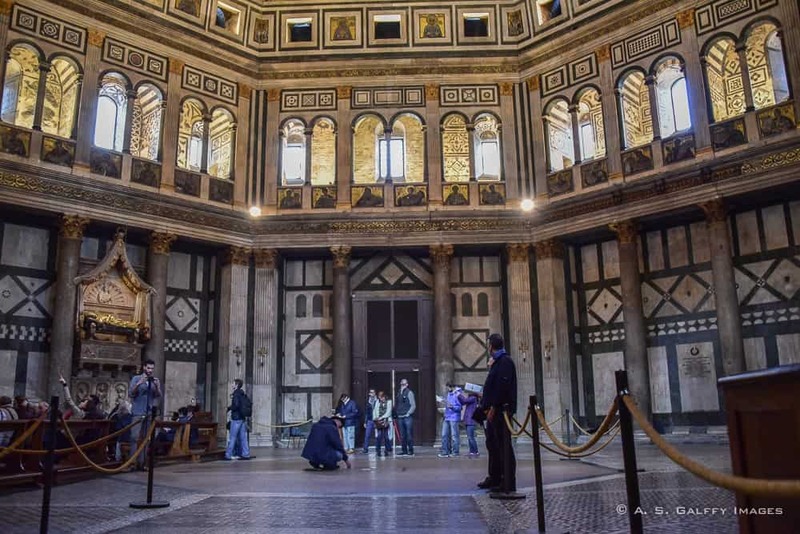 The city’s great history, magical gardens and abundance of art will steal your heart right away. If I didn’t write too much about our trip to Florence it is for a good reason. Between the great Italian food that I was chasing every day and my niece’s wedding which was the real reason for our visit to Italy, there was very little time left for lengthy explorations. That is not to say that I didn’t give my feet and my camera a good workout in the few days that we were there. 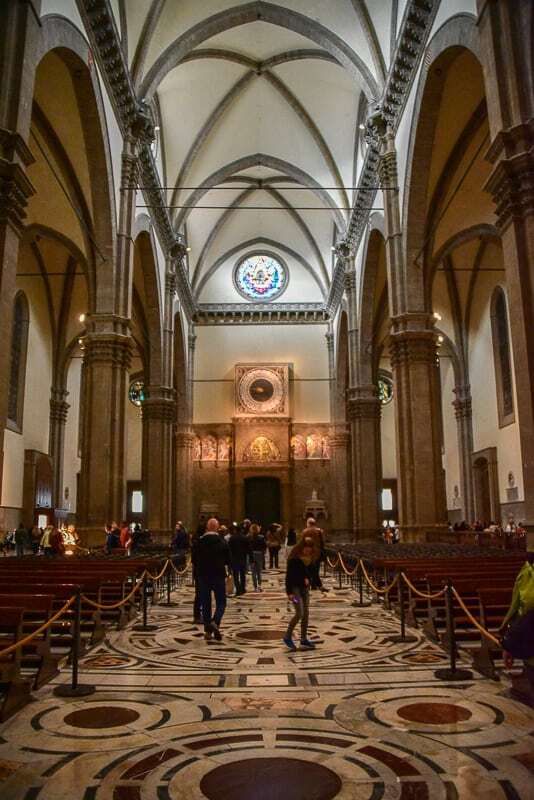 There is so much to do in Florence, but for me this time around wasn’t about visiting every single museum or church in town. It was rather about spending time with my family, walking the streets and enjoying the food. 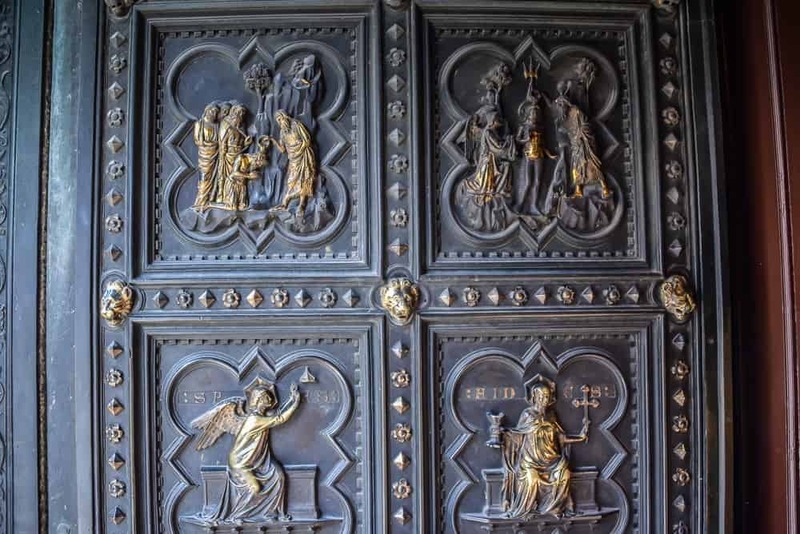 So this article may be heavier on the pictures than on the words, but what better way to explore Florence than in photos? 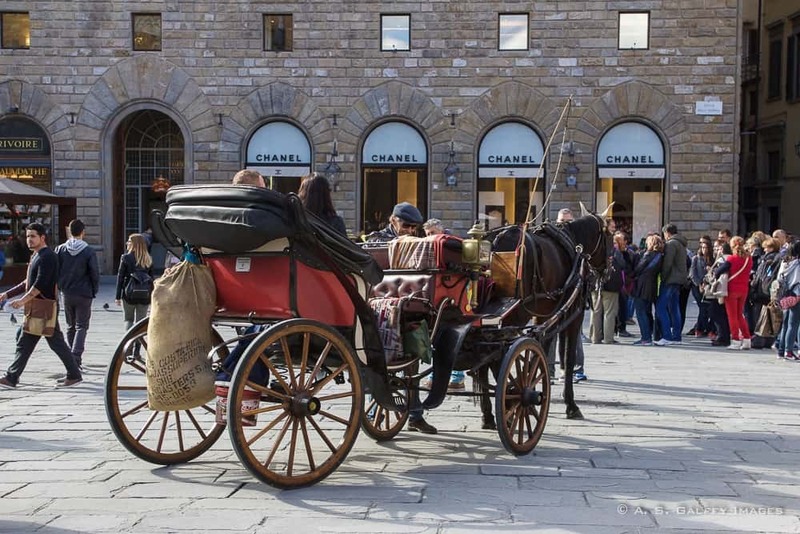 Piazza della Signoria is most likely Florence’s best known spot. 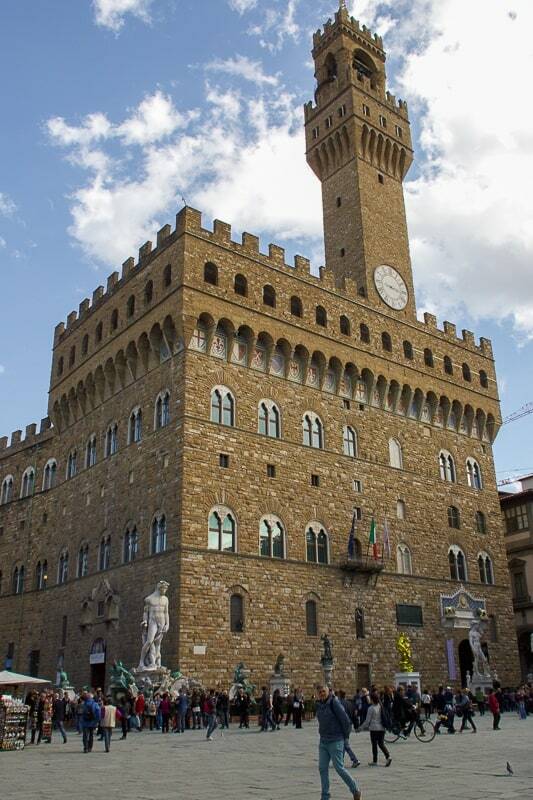 With its famous sculptures and the prominent Palazzo Vecchio overlooking the square, the piazza is also home to the Uffizi Gallery, the most renowned art museum in the world. 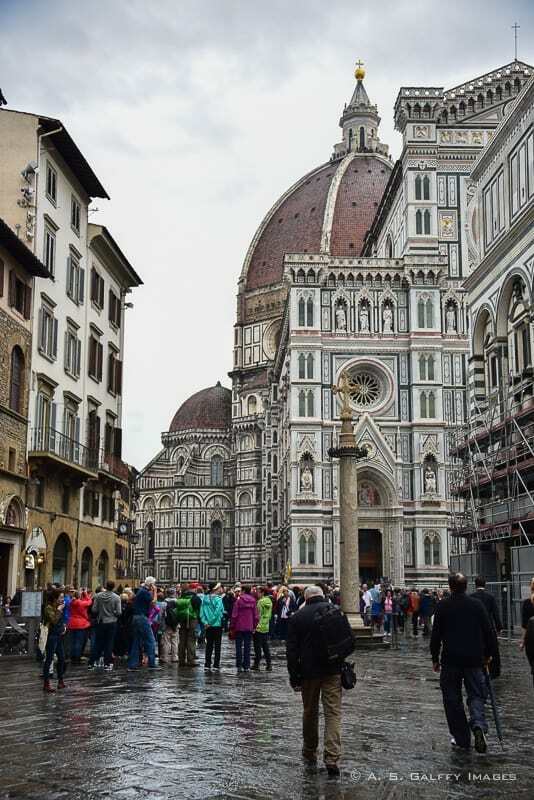 The Duomo of Santa Maria del Fiore is Florence’s most iconic landmark. 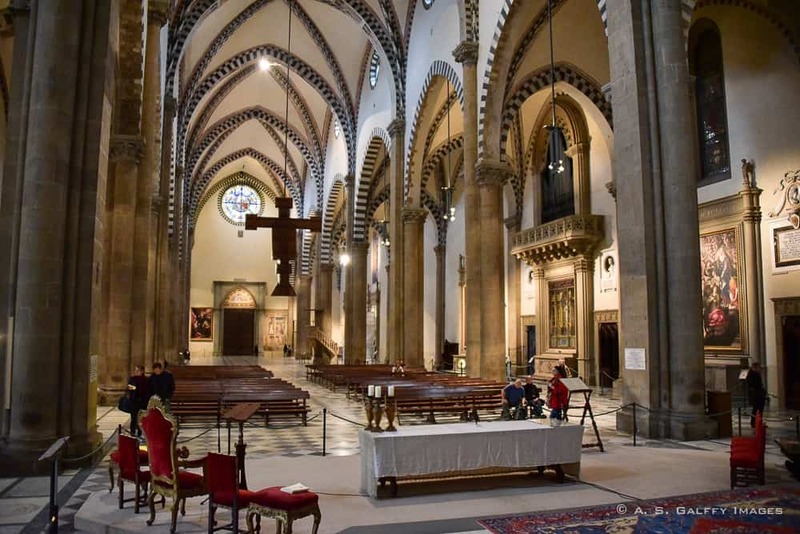 The 600 years old masterpiece designed by Filippo Brunelleschi still remains an architectural mystery as of today. 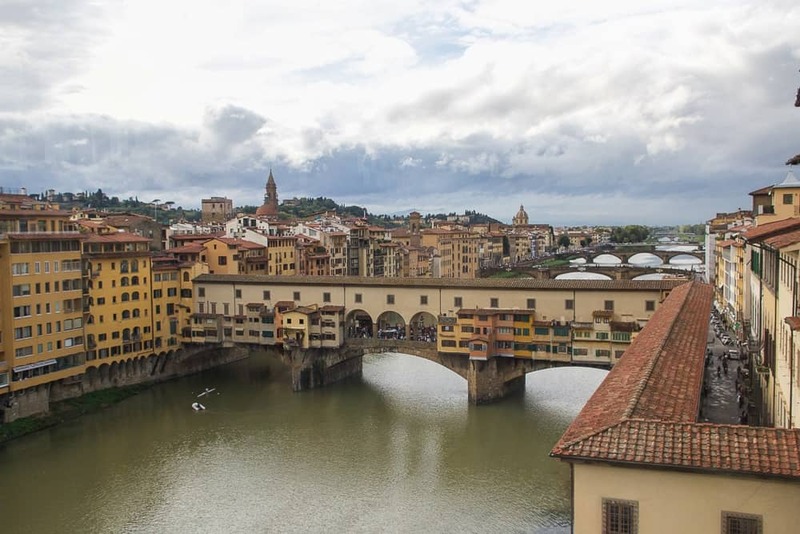 If you didn’t know it’s a bridge, you would probably think Ponte Vecchio (the old bridge) is a street.That’s how densely the jewelry stores are packed on its both sides. Dating back to the medieval era, the stone bridge has certainly stood the test of time. A plaque near its central arch commemorates its rebuilding in 1343 after a flood. 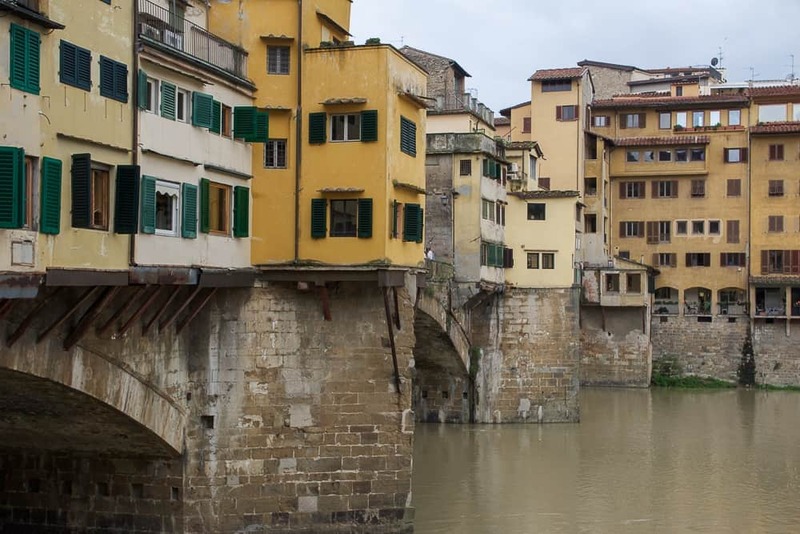 Ponte Vecchio even survived the World War II, while all other bridges in town were destroyed and later rebuilt. 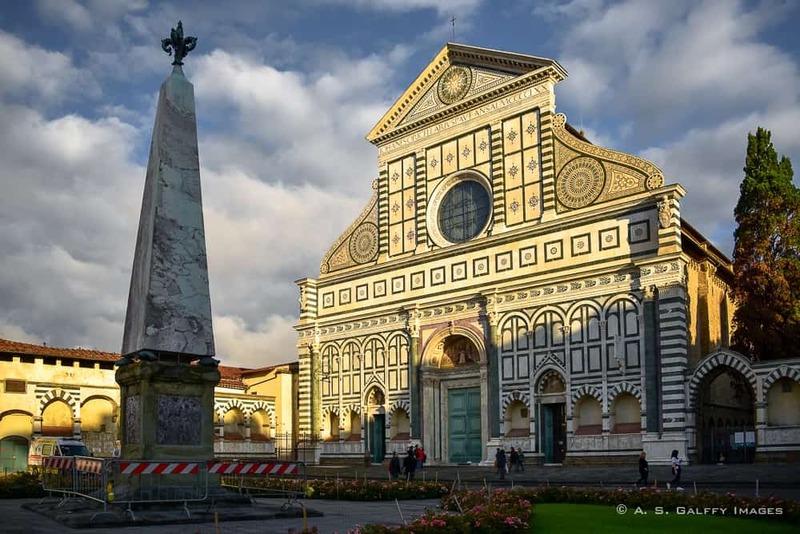 Located just across from the main railroad station in the historic center of Florence, Basilica of Santa Maria Novella is a fine example of Gothic architecture. 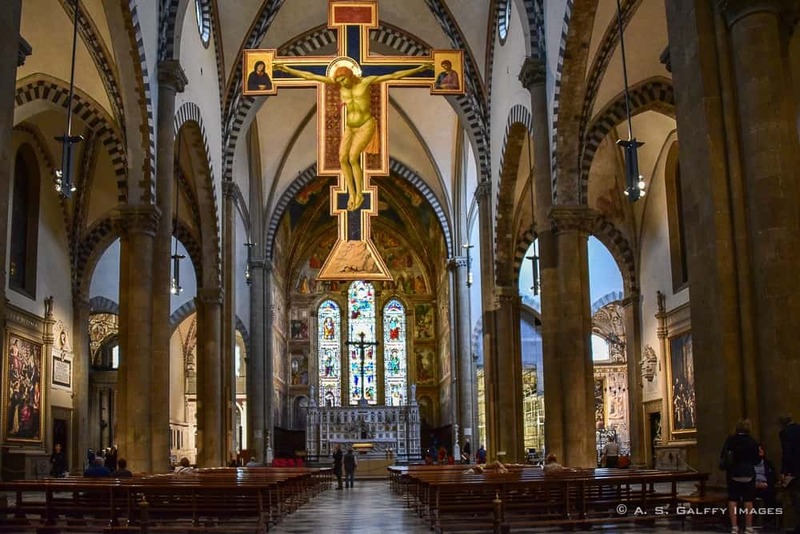 Although it doesn’t enjoy the fame of its younger sister, Cattedrale di Santa Maria del Fiore, Santa Maria Novella is a beautiful church and is well worth a visit. 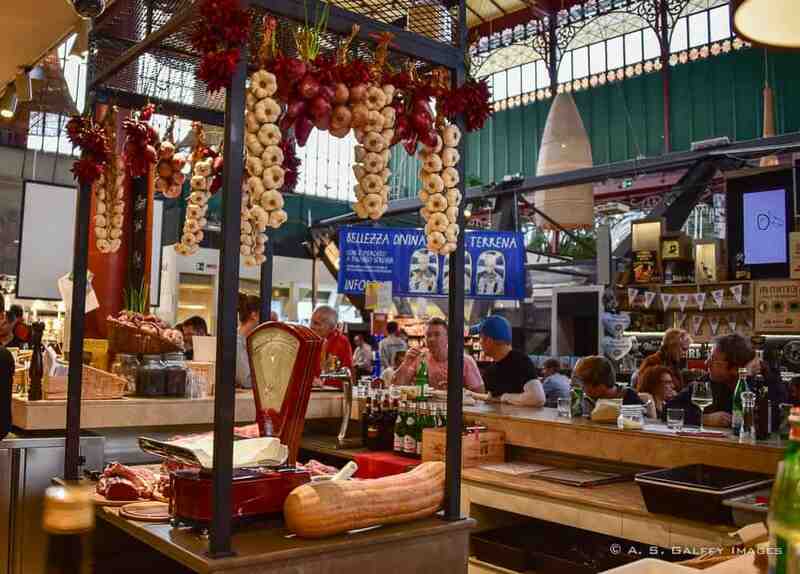 Mercato Centrale is Florence’s food market, located in the colorful neighborhood of San Lorenzo. 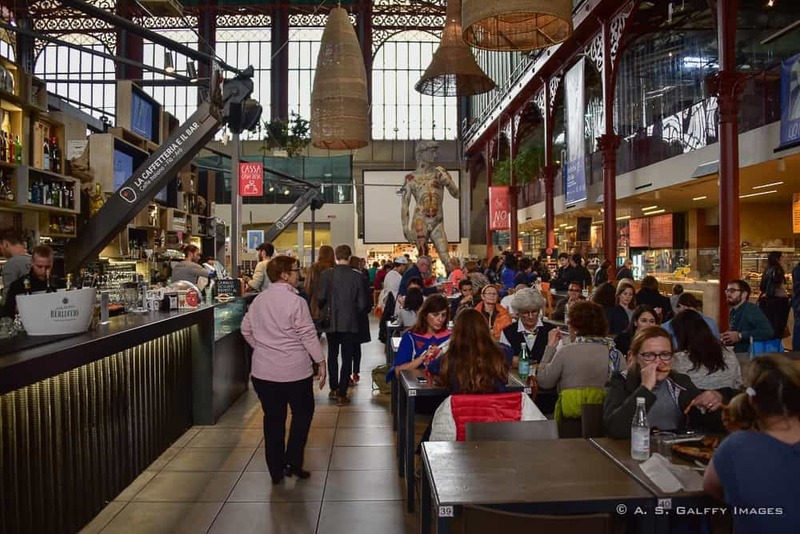 Even since it was built in 1874, the two story building of Mercato Centrale was the place where the Florentines bought their food. But only the main floor of the building was used for the market, while the upper floor was abandoned for over 10 years. 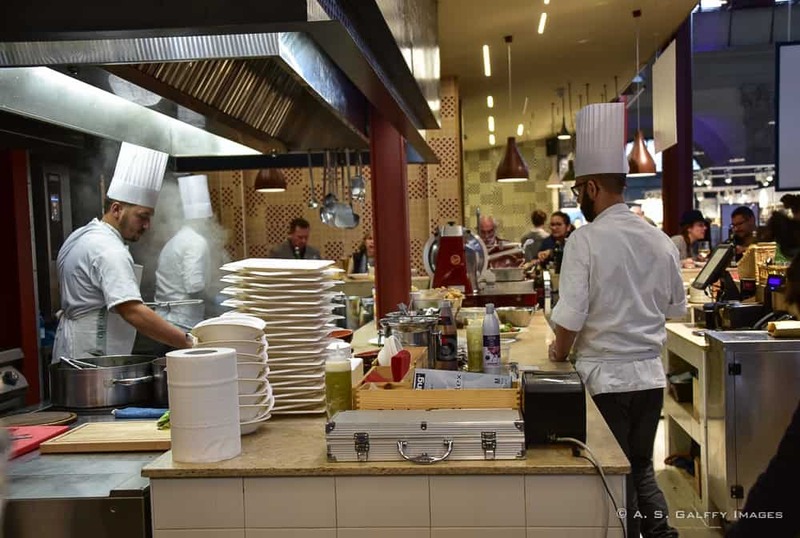 The market’s popularity began to grow only after April 2014, when the upper floor was remodeled and turned into an unmissable food destination. 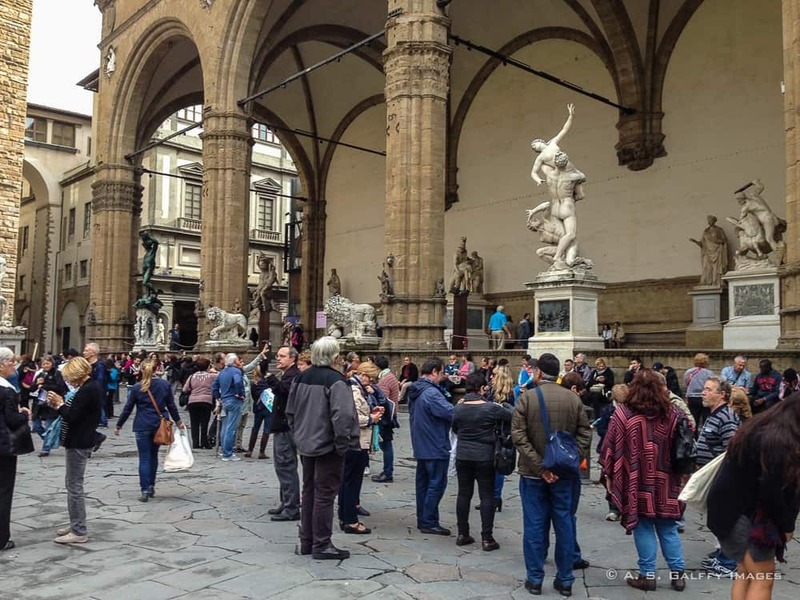 Today Mercato Centrale is one of the main attractions in Florence, a food spot that no tourist wants to miss. 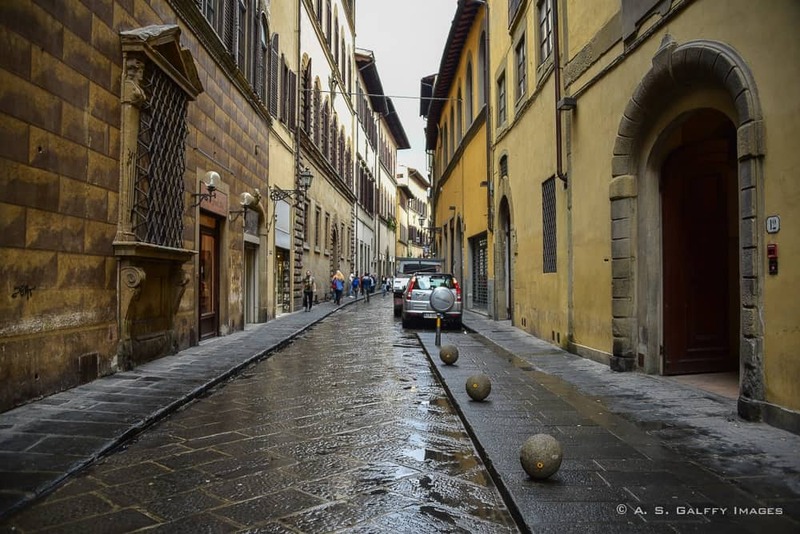 Walking the streets of Florence is most likely the best way to discover the city. 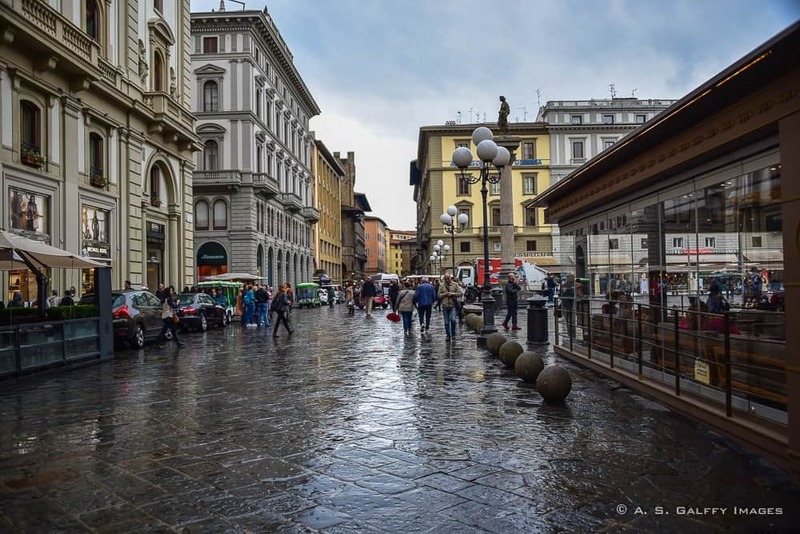 The narrow streets radiate the charm of Italian culture. The piazzas are inviting and the houses are painted an array of colors. This was my short trip to Florence. Six days went by in a flash, leaving me full of regrets. I wish I could have stayed longer. 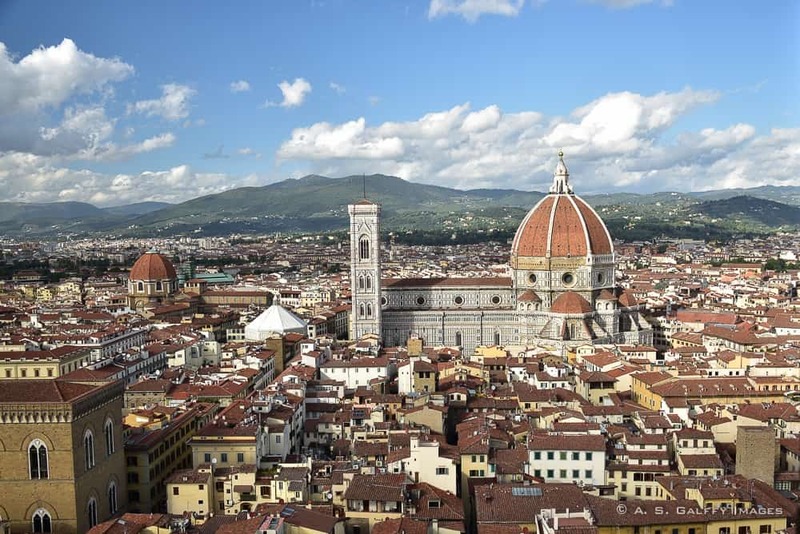 There is so much to see and do in Florence! Interview with Meg Jerrard from "Mapping Megan"
Have a great trip, Milton. I'm sure you'll love Florence. Beautiful photos! Makes me miss Italy. 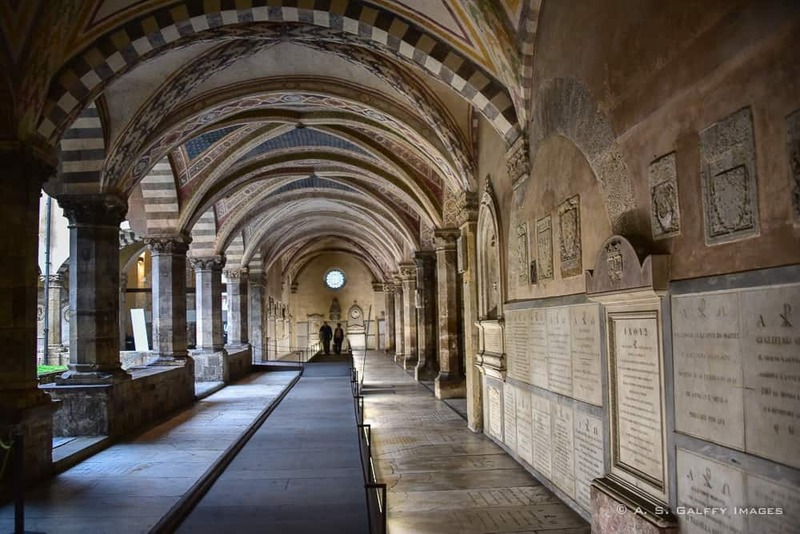 Siena is a beautiful little town, but Florence is in another league. You can't compare the two. Florence is such a gorgeous city! I love wandering around its alleyways and sights. Lovely photos! Lovely pictures I particularly like the one the church that has the shadow cast half way across. 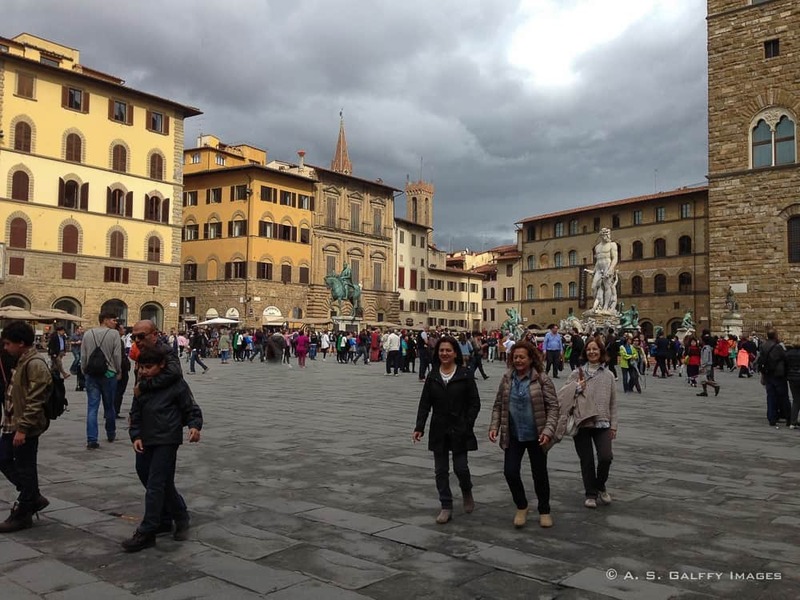 Love your photos of Florence! Sometimes, it feels good just to walk around a city without any particular plans. It is like you are there to absorb the sights, smells and colors. I visited Italy many years ago but would like to go back. I think I have learned to appreciate more the the places I visit (as compared to when I was younger). Thank you, Ruth. Florence is a photographer's dream. Sooooo lovely! We last went in about 2005 - seems so long ago now!